When a business goes green, it doesn’t just help the environment. There are tangible benefits to the company as well. What benefits can going green bring to your company? Where do you start? Consumer Demand – During the great recession, green businesses fared better than their less green counterparts according to a survey of 1,305 small businesses. In fact, the more environmentally friendly a company was, the more likely it was to turn a profit. 80% of the businesses surveyed believed that their green products gave them a competitive edge. Lower costs – Energy usage is a big expense for any company. Policies that reduce energy usage can be friendly to your bottom line. While using green energy may not be an option for your business, turning off unneeded lights is something everyone can do. An office with windows can often safely have the lights off on a sunny day. Reduced waste – While energy usage is a top concern, so is the production of waste in general. Businesses can save money by refilling printer cartridges instead of replacing them. At the same time, those cartridges aren’t going into a dumpster. When you’re charged for the amount you send to the College Station landfill, sending less is a good idea. 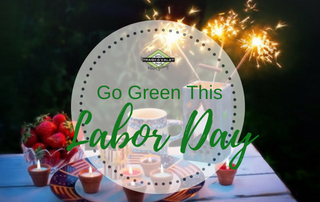 Sustainability – The real benefit to going green is that it does help the environment. A sustainable business practice is good for everyone. 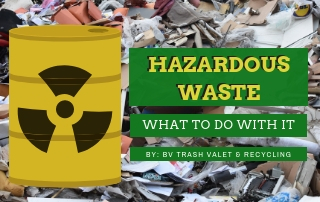 Recycle – If your business is outside of the city in Brazos Valley, you can reduce the amount you send to the landfill by selecting a trash and recycling service. Not all services are the same, however. 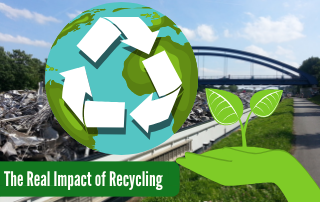 To maximize the amount you recycle, select a service that recycles the most materials Single stream recycling is also helpful because it reduces the amount of time employees spend recycling. Conserve energy – Turning off the lights and shutting off computers over holidays and weekends can save money. Also, restarting computers every now and then will prevent calls to the IT department. Reduce packaging – Using less packaging for items you sell is eco-friendly and it can potentially save money. You could be wasting materials by overpackaging your products. Make greener products – When you make greener products, brag about it. Make sure your customers know that you’ve given them a more environmentally friendly option. It will be good for your reputation and push consumers to buy your product over the competition. Going green isn’t just good for the environment, it’s good business. Green businesses are more sustainable and attract consumers. Another key advantage is that it shows that your company has its ducks in a row. If you don’t have the ability to go green, but your competition does, it makes you look less professional to consumers. 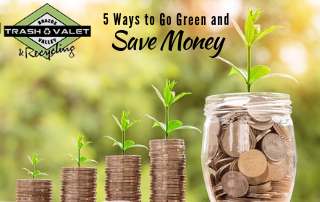 Producing green products shows that you have the ability to go green and that makes your company more attractive and gives an overall feeling that your product is better. Your business can go green in small steps. 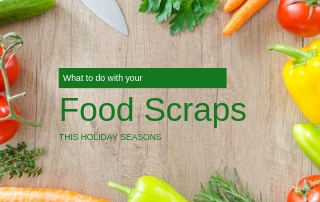 The first step is finding a recycling service for your business.